Sunday morning is the high point of our life as a Christian family. We celebrate the Good News of God’s love expressed through Jesus Christ and share in the fellowship of God’s people as we grow in faith. 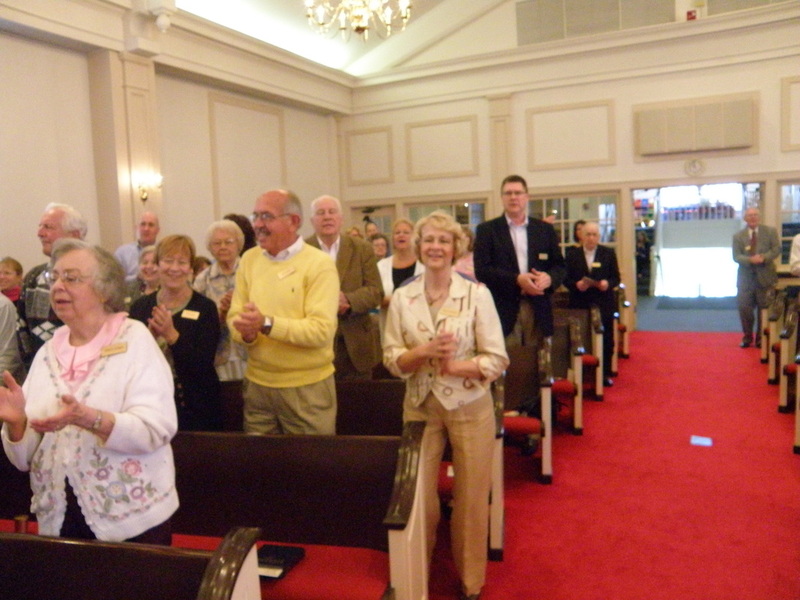 Our Sunday morning worship service begins at 9:30 AM. Those with disabilities will find accommodations in designated parking, a nearby fully accessible entrance, an elevator and reserved space in the sanctuary. There is also special parking for our visitors. 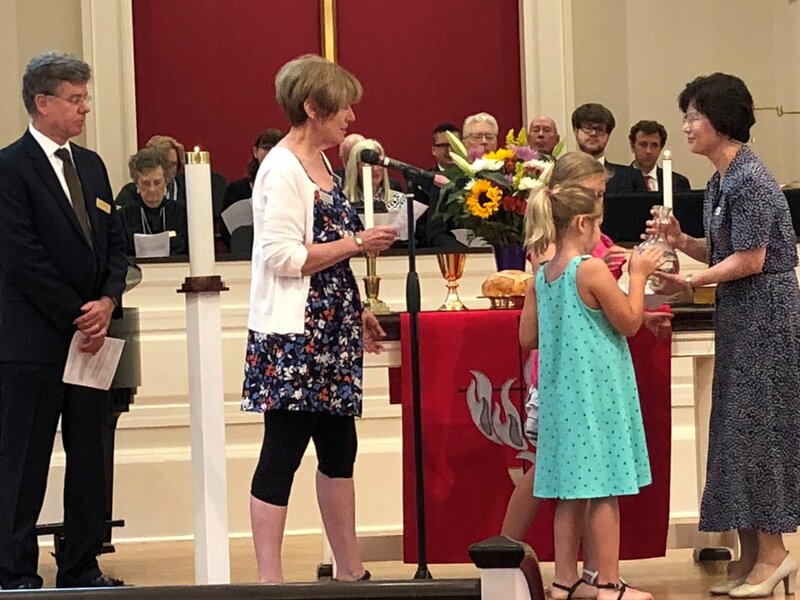 Children of all ages are fully included in our entire Worship Service on the first Sundays of the month – our Family Sundays, which includes communion. 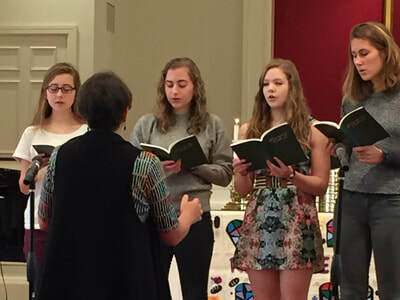 On the other Sundays, children in preschool through eighth grade start in the worship service, but are dismissed following the Children’s Time to attend Spiritual Formation classes. High School students have classes twice a month. We have a childcare provider each week in our nursery for infants, toddlers and preschoolers during the Worship Service. For those times when you and your child need a short break from the worship service, we have a “Wiggle Room” located just outside the sanctuary. Children can play a little more freely there, while their parents can still see and hear the worship service. There is a separate room available for nursing mothers as needed. We also have “Wiggle Bags” containing quiet toys, books, coloring paper and crayons available for children to use in the sanctuary. The Sacrament of Holy Communion is celebrated the first Sunday of each month. Communion is also served at other high points of the Christian year, such as Christmas Eve, and Maundy Thursday. In the United Methodist Church, Holy Communion is open to all who believe in Christ and wish to live in God's will. The Sacrament of Baptism, the initiation into Christ's holy church, is celebrated by special arrangement. Anyone desiring baptism for oneself or one's children should arrange a consultation with the pastor to explore the meaning of baptism.